Great as a side dish or in salads, steak tacos and burritos. Seed and finely chop the jalepeno and bell pepper. Finely chop the onion, garlic, and cilantro. Set all aside. Set rest of ingredients out. Add the jalepeno, bell pepper, and onion. Cook about 5 minutes until softened. Add garlic and cumin. Cook an additional minute. Add the beans undrained. 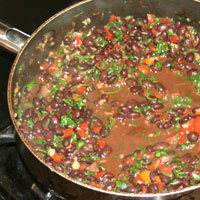 Stir well and simmer 10 minutes. Remove from heat and add cilantro and lime. Salt to taste. 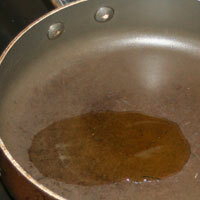 It is best to chop and prep all of the ingredients before heating the oil. It's frustrating to have the first part cooked and not be prepared with the rest of the ingredients. -Be sure not to overcook the vegetables or they will be mushy. 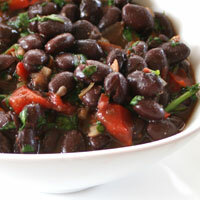 -Do not cook the cilantro or lime juice or it will lose its fresh flavor. 1. 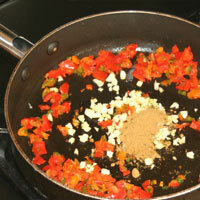 Seed and finely chop the jalepeno and bell pepper. 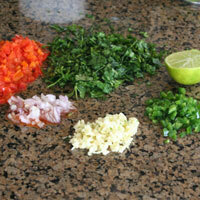 Finely chop the onion, garlic, and cilantro. Set all aside. 2. Heat olive oil in a large skillet over medium heat. 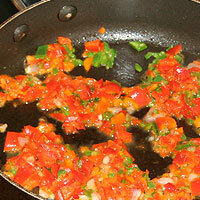 Add the jalepeno, bell pepper, and onion. Cook about 5 minutes until softened. Add garlic and cumin. Cook an additional minute. 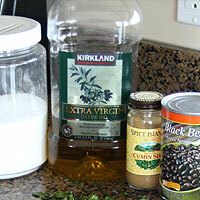 Add the beans undrained. 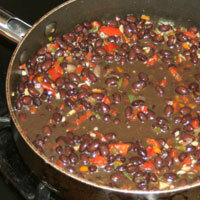 Stir well and simmer 10 minutes. Remove from heat and add cilantro and lime. Salt to taste. These freeze well. Cool completely, package in zipper lock bags and freeze up to 6 months.